Any cheap deals on auction project salvage houseboats? Looking at cheap project style houseboats, and like to find any deals on salvage house boats, fire damage, auctions, bank repossessed, or insurance loss claims? I would like to buy a salvaged houseboat from an insurance lot, possible a sunken house boat, or a burn out fire damaged one. Where do I start to search for these project boats? I'm an out of work remodeling contractor, and this would help me out. Well Jeff, sorry to hear about your situation, and hope that you find work soon. When it comes to finding a cheap project houseboat for you, I am sure that you will find something here. On a positive note, I am a firm believer of the idea that, when YOU look, YOU find! In todays tough economic times, everybody likes to get a good deal, or to find a bargain on a cheap well priced houseboat. However if you're looking for a bank repossessed, insurance loss, seized, fire damaged, sunken, or a boat that has made it through a storm hurricane and needs work, than we will find this is for you. The savings on project houseboats can be substantial, yet you have to consider your time, tools, energy, space, and your skill and the expertise needed in getting a houseboat back into shape. They're cheap and inexpensive, but you do have to calculate the time, effort, equipment, and materials involved. here are some of the places to find repossessed, insurance, seized, or auctions on houseboats, you can try the following places to find the right boat for you! 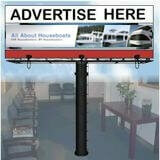 The easiest place to look for deals on houseboat auctions. They generally have many houseboats available at any one time, and in a wide range of areas and prices. If you're looking for Government Auctions, there's good places for government auctions on boats, cars, homes etc... Some websites have a one-time fee to become member, however you'll agree it's well worth it, considering the time and money saved. 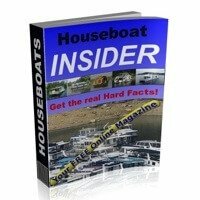 You can also try our own Houseboat Classifieds to see what is available, as we are now getting more and more members listing their boats with us for free. If you do buy a great houseboat, do take some pictures and share your experience with us here. There's many of our readers that will be interested in what you have to say. Lastly, hopefully some of our readers will share and post comments about their project salvage houseboats, or repo auction experiences. Feel free to use the "Click here to post comments." link found near the bottom of this page. Comments for Cheap Project Houseboats - any deals on salvage, repos, insurance claims, fire damage, or house boat auctions? I live in Green Bay Wisconsin , right now but I would like to go to Gulf Shores or Pensacola somewhere around there. looking for a houseboat somewhere in Florida , that somebody would like to get rid of...... I am a handicapped individual I'm living off of disability, which only pays me $800 a month . and I need some place to stay if I move down to Florida. houseboat would be perfect if somebody's got one they want to get rid of , that needs a little work. like I said I'm handicapped so I can't do a lot of work. but I could do some just someplace where I can live . anybody out there wants to write something off on your taxes as Charity case, I am definitely a charity case. Looking for still hull burnt out close to Eufaula Ok.
Hi viewers, as of today I have a 17 m houseboat for urgent sale. It needs repairs and selling for a bargain basement price. Needs to be sold immediately, so give me a call to discuss an offer. So I bought a 37 ft Holiday Mansion that I got from out of state. I wanted a shipping rate from U Ship, that was my first mistake. They said around $700 to $1200 to ship from IL to Tampa FL. Well I bought the boat, then I wait for the shipping wars to begin. It never happened, the cheapest I got was $4000. Now it gets better, while in transit they lost the roof of the boat. Now no one seems to know where, or in what state they lost it, or how? So my houseboat sits in a boat yard waiting on insurance. I am looking for a top. Maybe I can still save my boat. Does anyone know where I can get a 10 x 12 roof, hard top, or have any ideas. I'm looking for a fixer upper I'd like it to be 75 feet by 18 are even bigger the bigger the better. I don't care what condition it's in, even willing to buy repo. My wife and I really want a houseboat really bad, anybody that knows anything please let us know. I'm seeing tons of boats up north, marked flood damage, does this always kill the motors? Can you fix by short blocking? Or disassembling and cleaning? Thank's for any info. Trade: cruiser or houseboat for "Beach Vacation"
I own a vacation resort right next to US #1 voted beach in the nation "Siesta Key" in Florida on the west coast. We are looking for a cruiser where we could sleep and cook on. Interior not important since we will refurbish. Needs to be in a water tight condition. 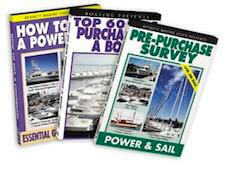 Looking for 50-75' houseboat (project boat welcome) to be use for Yacht Club in Chicago area. We would need two levels, and the best will be empty with open space. Jeff, go to just about any marina, at least marinas where there are a lot of houseboats, and you will find most have liened boats for sale. Some will auction them off and some will sell to you outright for approximately the back berthing due and expenses-anywhere from 4 or 5 hundred to 2 to 4 thousand. Depending on how much of a project it is, some will be really good deals. You might get a boat for 2 thousand that with fixing up would be worth 50 to 100 k.
If it goes to an actual auction will probally pay a bit more but should still get a bargain. Where I live (the California delta) there's deals all over the place. I was able to find a houseboat on Craigslist, I was looking for a cruising boat and did not even know or even think I wanted a houseboat, but I got it so cheap I could not pass it up. My partner and I are looking for an insurance claim, burnt out or repossessed narrowboat particularly one that is low in price and needs some TLC, ideally a cruiser stern narrow boat for refurbishment project. We are open to potential projects that come in from 45ft plus. 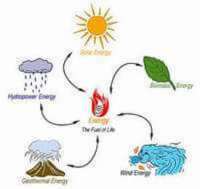 We actually welcome internal and external work, this is not a problem, in fact we really want to do our own work on it. We would prefer to not be paying for a decent interior as we will be ripping this part out and changing it. A few more details, preferable between 45 and 57ft if possible, all steel, cruiser stern, working engine (again preferable) preferably water tight, if not, do you have welding facilities on sight if the hull needs fixing? debt and the refurbishment project allows us to complete the boat as money comes in and a lower price allows us to buy it out right. the Nautaline is 14 by 43 fiberglass hull and will be worth about 30,000 when finished, and has 2 engines chevy 350's and no generator, and will fetch $6,000 as is. will take $10,000 as is. Kevin. 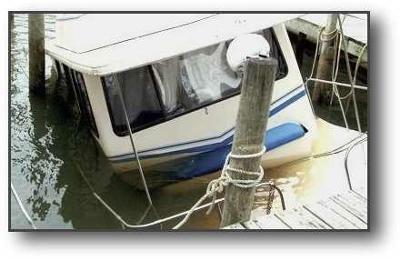 Kevin, if you have a houseboat for sale, you can place a free ad on our Houseboat Classifieds. Please check out the Galveston/Houston area. There are boats everywhere leftover from IKE. Most are high and dry as a result of the storm surge. 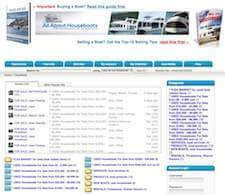 Bill, if you have a houseboat for sale, you can place a free ad on our Houseboat Classifieds. You might want to check with your area's marinas. In these economic times, a lot of people are not able to keep up with their dock rent, let alone their house payments. They either end up giving the houseboat to the marina to pay off their bill or sell it for what is owed. That's how I got my houseboat, the people were going through a divorce and no one wanted to pay the dock rental fee. A win/win for both of us. 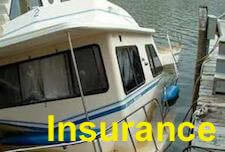 They were able to get out from under a growing debt fee and I was able to get my boat, Bob. I know of several boats, just in my marina (Harbor Marina, Lake of the Ozarks) that are at risk of being repossessed by the marina because of missed dock payments. Good luck, Ann. Ann, that's a good tip, and glad to hear that you were able to pick up a great deal on your houseboat.